For that extra bounce in your step, add a packet of EBOOST® Energy+Vitamin Powder to your next smoothie for an extra boost of energy, flavor, and sweetness without the guilt! 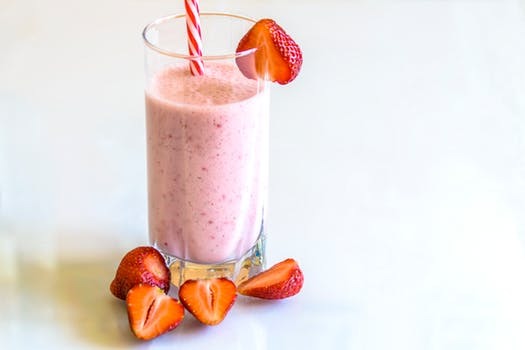 This healthy smoothie is packed with whole foods protein, a bunch of vitamins and minerals and simple ingredients you can find in almost any kitchen. The best part? It only takes 3 minutes to make! The best part? It only takes 3 minutes to make! Blend all the ingredients together in the order listed above and enjoy this delicious, nutritious protein shake! I recommend pairing the strawberry kiwi EBOOST® Energy+Vitamin Powder to accompany the flavors perfectly!